As the guests tottered across the grass in their heels Laura was peeking over the balcony of the boathouse to see them arrive. Finally it was time, and escorted by her mother, Laura was piped into the opening for the ceremony. The reception was held back at the house and I hung dangerously onto the top window to get the group shot before arranging family and friends for the family shots with the almost surreal landscape of Ben Cruachan behind them. 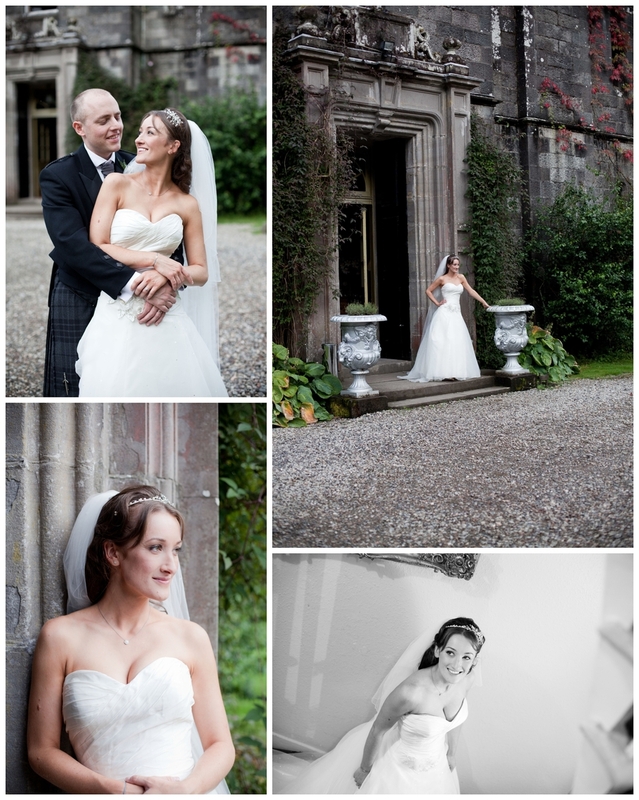 The location was such a treat to photograph in and Laura braved the damp in her heels to wander round the grounds. (If you were a guest at this wedding you can access the full album and purchase prints here and the password is Jon's surname). My favourite touch in their decorations of the marquee was the booklet, laid out for each guest, with a short paragraph about every one of the guests to get the conversation flowing. As Jon pointed out in his speech, when you have everyone from a high court judge to a onion farmer in the party you can't fail to find someone to engage with!